Allies, I place this in general chat so that all may read. The Axis have begun a well executed and dogged counter attack. This has had a most adverse affect on morale and on our psyche. Allies, after many campaigns of suffering and loss, OKW is trying and currently succeeding in putting you in a losing mindset. Let it pass. let it slip your mind and focus again at our goals. We stand now at the throat of the German heartland. Hold fast and stay true and we will see victory. At this hour, let it be known the allied forces have been given the orders to strike EVERY AXIS factory until they are no more. Every man capable of flying an aircraft is expected to do his duty, whether it a Blenheim, DB7 or hurricane we must continue this campaign day and night at all hours until the final victory. On the ground AHC have been given new key objectives, be prepared to fight for the same towns many times over, BUT in conjunction with our air campaign we will see through to the end. It will not be easy, it will not be pretty, but all must do their part and fight on, DO NOT FOR ONE SECOND FORGET, WE ARE ON THE WINNING SIDE! Regardless of axis gains, regardless of their moves, remember that, stay stoic, stay stalwart, and stay the course. Campaign 153 belongs to the Allies, fight on, fight hard and continue being the best players I've had the pleasure of playing alongside. Axis, I place this in general chat so that all may read. Axis forces have begun a well executed counter attack and are moving forces for a large pincer in the north. Keep our defenses strong and stand firm with the goals of the High Command and you will lead us to victory. REMEMBER the Axis never quit ! We are never done and we fight to the last rifle in supply - Then we use knives and finish them off. They are weak minded - we are strong minded and determined! Call your friends and squaddies and tell them to get here and help turn this camp. We need more time with 2 AO's - gogogogogogo Axis ! @TmanName the FB and the time, I will meet you with my knife!!!!!!!!!!!!!! must put in for clarity... this is an actual challenge!!! I hope the Axis do make a comeback. I love long maps and friggin HATE intermission. Dumbest thing EVER. Actually Ohm has come up with some good scenarios for next couple of intermissions. Need a navy intermission, with the blen-T in for everyone. Plus land brigades in Remagen and Unkel (spelling) for land guys. Well chances are, playing axis is easy mode at this point. > Axis attracts smarter High Command candidates and Axis players are better tankers, bombers, fighters, riflemen, snipers, naval captains, gunners, sappers, engineers, truck drivers, communicators and map markers than Allied. P.S. How hard would it be for the SW team at CRS to make LMGs only fire if deployed? I'm sick of shoot from the hip Rambo krauts. lol have you tried playing axis? Keep calm and dont feed the trolls crew. Is everything a troll to this community? It’s impossible that question was genuine. Not a chance eh. 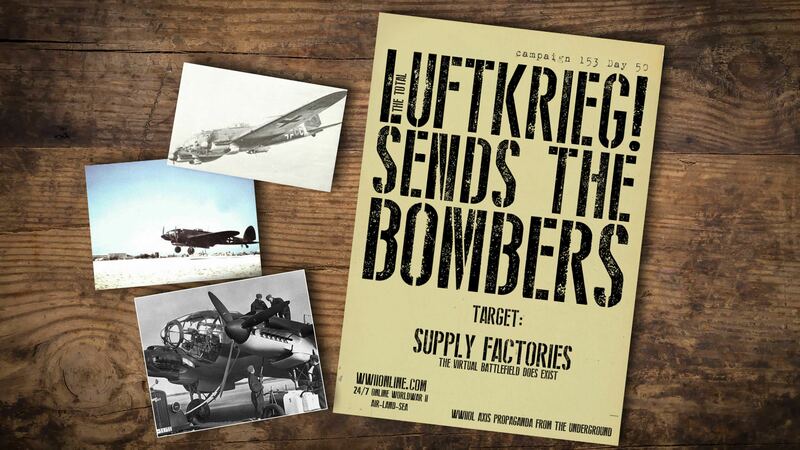 Well the user has referenced the difference in bombers effectiveness against factory’s—is the User aware of the fact that the HE111 Had a BIGGER payload in real life? No that information is irrelevant right? The user references he is sick of Rambo lmgs—is he aware of how bad the accuracy the MP40 the MP34 and Beretta is? Probably not. You can steady the gun and fire one bullet and it doesn’t go where you are aiming…… so people use lmgs cause at least they stand a chance at hitting what they're shooting at. He also doesn’t seem to be aware that those who play the other side ‘are sick of being sniped from range by the grease gun’. It’s a perspective thing here. The user refrences equipment biased towards Axis—clearly this individual has never taken the time to fly both sides if he had he would realize that not only are allied aircraft superior in their performance but their guns work. Day in and day out I can fire 20 plus 20mm cannons into a spitfire before it begins to show effects, while on the other hand I need only two cannons to dewing and flame a 109—sometimes it takes four. I’ve tested this for myself and will gladly go to the training server at anytime to demonstrate these facts in game. Anytime guys. Is the user aware that the flight models on the havoc and db7 are something from an arcade game? The bombing of factories is historically accurate. The HE111 is a heavy bomber that is slower and held a larger compliment of bombs compared to allied counter parts. The arming mechanism is effecting both sides the same. I find the fact that since the initial breakout by axis they have slowly started losing ground again and your comments above tell me you have not been in game in the past week. P.S - Have you seen the map lately...........Allied moving East. Where are those claims now? In fairness, from the time that i have been on Axis are pretty consistently underpop, sometimes severly so. Agreed. Those who say 'Axis have unfair advantage with 2.5x payload' are in error. Just like those that say 'Allied bombers are TWICE as fast as Axis' or 'Axis have to fly twice the sorties because of twice the factories' are also in error. Twice the factories vs. twice the payload (accounts for the 2x). 50km/hr faster vs. additional 50% greater payload (accounts for the other 0.5x). 2x + 0.5x = 2.5x. CRS actually made it pretty close. Where Axis have actual advantage is in early tiers before USA where they can fly just 18 111 sorties per day to wipe out all 9 French factories. Thats 2/3 of Allied flags, at only 1/2 the factories damaged. With TOEs and AOs, this is a clear advantage before USA comes in (which evens out due to USA pulling supply from both factories). Don't even go to England. Just bomb France and chase French flags all day. Allies need 45 DB7 sorties on Axis factories to match (with only 60 planes total in supply). Axis have twice the 111 supply as Allies have DB7s (due to Havocs and their even worse numbers on factories). Its not a perfect system. As we have seen over and again, people on both sides will claim 'unfair bias!'. Some will do so out of ignorance. Others know better and do it to mislead the playerbase. The REAL question: does factory bombing even matter? Many say that with how lightning-fast factories auto-repair themselves, its not even worth the trouble. I say, slow down the rate that factories and bridges auto-repair themselves...and it will help motivate the bombers to keep going. I'll be flying those graceful slugs again pretty soon. Can't wait. the model for dive bombing factories has been "optimized" by CRS to some ridiculous bomb arming paradigm. Or are you referring to the anti-suicide-bomber-timer interfering with your suicide dive bombing runs using a horizontal bomber? Aaaaaaand with this "blinders on, all I do is whine and repeat the BS I've heard response. Over and over and over and over."... FROM A F2P ACCOUNT that doesn't help support the cause with his wallet.... I will be adding one more to my ignore list. I would, but I STILL haven't figured out how to add pics and such to the new (now not so new) forums.